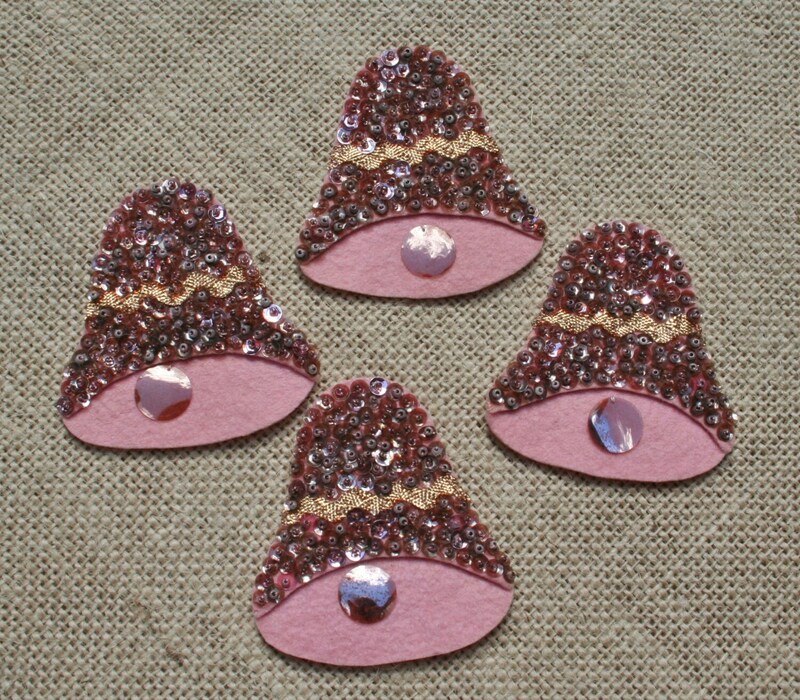 Here is a darling set of 4 vintage felt wedding bells. They are pale pink and are covered with pink sequins and some gold rick rack. These are completely sewn by hand - no glue. The bells measure approximately 3 1/2 inches tall by 3 1/2 inches wide at the widest point. They are in excellent as found condition and ready for your creativity. NOTE: these are sold in sets of 4. If you would like more than one set, please use the quantity button.